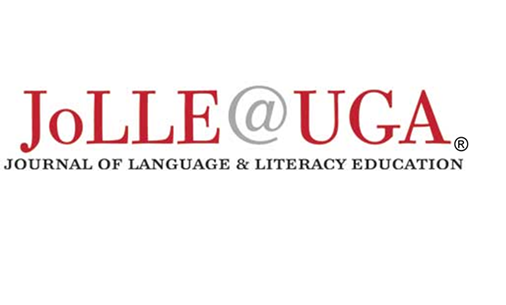 The Journal of Language and Literacy Education holds an annual conference each winter at the University of Georgia. The conference theme is almost always related to social justice, and this year, it is specifically themed, “Embodied and/or Participatory Literacies: Inspire, Engage, Create, Transform.” This conference, especially, is important to me (Jenn Whitley, TSJ’s moderator), as it was the first one I attended, and helped inspire me to research social justice issues. I encourage Teaching Social Justice‘s readers to look into JoLLE’s conference and submit a proposal if it’s something interesting to you, as JoLLE appeals to a wide audience of social justice researchers, educators, and students. This conference is not like others; usually presenters get enough time to work with their audience (instead of merely talking to them for 15 minutes). Proposals are due in a week — by October 5 at 11:59 p.m. EST. I will be there, and I’d love to meet more of you, especially those of you who live so far away. If you cannot attend or present at this year’s conference, JoLLE also accepts manuscripts related to the conference theme for its Spring 2015 Issue. Feel free to submit your work if it relates to embodied and/or participatory literacies. OR, of course, you can submit other literacy-related manuscripts for a different issue. Thank you for allowing me to steal some of TSJ’s space to tell you about this conference, as it means a lot to me. Disclaimer: I know all of this information because I’m on JoLLE’s editorial board. Please direct any questions about the conference or journal to me at: teachsocialjustice@gmail.com.